This little-known travel secret will change the way you book your next vacation. If you’re traveling on a budget, that doesn’t mean you can’t vacation in style. In fact, you can score a lot of free travel perks—like getting a bigger hotel room—without having to shell out the extra cash. 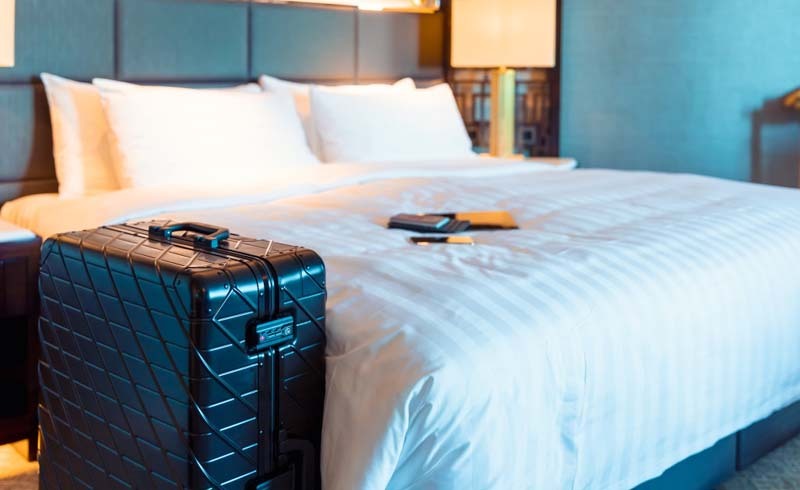 All you need to do is call your hotel directly to book your reservation and politely ask, “May I please book a corner room?” It’s that simple—and it’s just one of several ways to get a free hotel room upgrade. Hotels are often built in a way that makes the corner rooms slightly larger than other standard rooms without being categorized as a fancier luxury suite, according to Travel & Leisure. In addition to a bit more square footage and possibly more windows, you’ll also score a lower noise level as opposed to a room in the middle of the hallway where you can hear guests in the rooms next to you, including people walking past your door. Plus, you can have all of these small luxuries at no extra cost! But if you’re looking to upgrade to a corner room upon arrival, Jeanette Pavini, a savings expert from coupons.com, told Business Insider that you should use discretion and avoid asking at times when there are several guests waiting to be assisted. Of course, there’s no guarantee that a corner room will always be available, but it never hurts to ask! 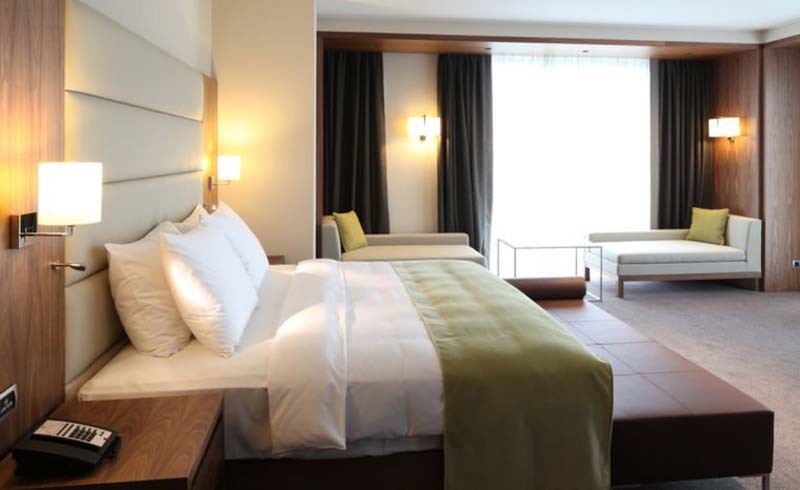 In fact, several of the best tips and tricks for saving a ton of money on hotel rooms really come down to just asking.